^ Glossary of NHC Terms. National Hurricane Center. 2013-03-25 [2017-08-30]. （原始内容存档于2014-06-01）. 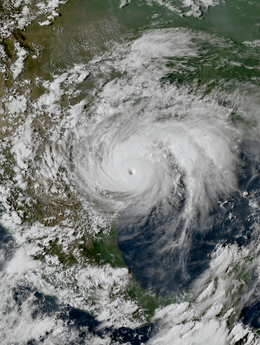 ^ Costliest U.S. tropical cyclones tables update (PDF). United States National Hurricane Center. January 12, 2018 [January 12, 2018]. （原始内容存档 (PDF)于2018年1月26日）. ^ Billion-Dollar Weather and Climate Disasters: Table of Events. National Oceanic and Atmospheric Administration. January 8, 2018 [January 8, 2018].